For the first time, a human organ has been successfully transported between medical facilities by a drone. 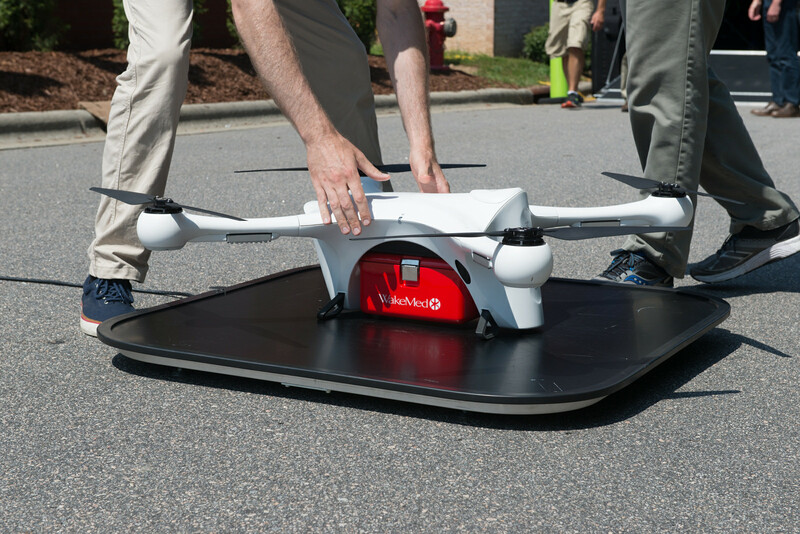 A team of scientists from the University of Maryland Baltimore used a research-qualified donor kidney as a test subject to shuffle back and forth on a remotely piloted hexacopter, testing the organ for changes throughout 14 flights. Its longest journey was 3 miles at a maximum speed of 40 mph, the duration and distance of which were suitable for demonstrating transportation between inner city hospitals. Currently, organs have few options for transportation, and the process for moving them involves a network of couriers and commercial aircraft that are dependent on schedules and traffic patterns. When normal commercial schedules aren’t available, the cost of private charter transportation can be prohibitive. Even when cost isn’t a factor, the time involved in the process altogether can prevent a transplant from being completed as organs are very sensitive cargo. To best ensure a successful transplant procedure, organs must be moved quickly between the donor and the recipient. The amount of time an organ can spend chilled after removal and when it’s warmed up and the blood supply restored, called cold ischemia time (CIT), is very limited. Some organs, such as the heart, only have as few as 4 hours available to be transported before they are no longer eligible for transplant. Up against airplane flight availability and traffic patterns, an improvement like what drone transportation could provide might have life saving implications. Shortening CIT times with faster organ transportation could also expand the availability of organs across regions currently out of range. According to the Journal article detailing the results of the drone test, the national average CIT is 16-18 hours. With a fast enough drone, even a cross-country trip could be cut down to around 8 hours, potentially expanding the availability of organs such as the liver and pancreas to such a distance. Regional expansion would be especially helpful for harder to reach areas where CITs are routinely longer than 30 hours for kidneys, the recommended maximum CIT being about 24 hours. The research scientists used a specially designed device for this experiment called a HOMAL (Human Organ Monitoring and Quality Assurance Apparatus for Long-Distance Travel) to measure temperature, barometric pressure, altitude, vibration, and location via GPS during the organ’s transportation. Once the project was complete, the kidney’s temperature and travel environment were shown to have remained stable. Further biopsies also did not reveal any flight-related impact on its structural integrity. The drone used in this research was a commercially available DJI Matrice 600 Pro Hexacopter, the specifications of which include 6 vertically oriented motors, around 20 minutes of flight time, a maximum flight speed of 40 mph, and a payload capability of about 13 pounds. For long-distance organ transport, upgraded equipment would be necessary as well as revised regulations on drone activity. A mandatory line of sight is required for drone pilots under current laws, thus precluding any major travel distances. Also, as with most aircraft, drones would also be subject to weather constraints. Despite the limitations of drone transportation, the team involved in this study remain optimistic as technological developments progress. The fastest drone on record can reach a speed of about 160 mph, and 22 pound payloads are already possible on commercially available craft. As these and other developments continue to expand and overcome other challenges, so could their potential use for medical transportation. As improvements also expand the regional reach of transplants to potential donor recipients, the medical benefits of the technology could prompt revision of current drone restrictions.